Pest Control Services in Kelowna and Surrounding areas for all types of Insects such as ants, Termites and Wasps and Rodents such as Mice and Rats. 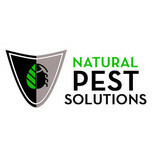 Our innovative pest removal service is guaranteed to get rid of your insect and rodent problems, while our natural organic prevention protection services make sure your buildings are always protected. 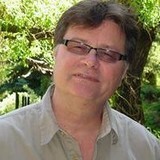 I have lived in the Okanagan for over 26 years and have many years of experience in pest control. I believe in giving my customers top quality, guaranteed service at a reasonable price. I am fully insured and licensed by the Province of British Columbia. Unwanted guests are never fun, especially when you can’t ask them to leave. Luckily, Summerland pest control companies have no problem kicking them out. Whether there’s a rodent in your basement or insects in the attic, call your local Summerland exterminator to take care of them — do not try to wrangle them out yourself! Not sure which type of home pest control service in Summerland, BC can tackle your issue? Read profiles and ask about their past experiences to get a good idea.